Have your feet measured. People’s foot size and shape can change over time. Don’t plan on shoes stretching over time; they should fit well when you buy them. Shoes made of leather can reduce the possibility of skin irritations. Soles should provide solid footing and not be slippery. Thick soles cushion your feet when walking on hard surfaces. Low-heeled shoes are more comfortable, safer, and less damaging than high-heeled shoes. 1. For feet with low arches: Choose a supportive shoe that is designed for stability and motion control. 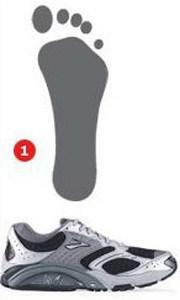 These shoes help to correct for overpronation. 2. 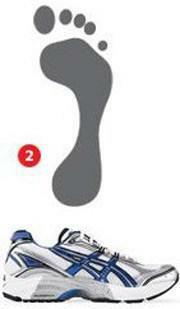 For feet with normal arches: Choose a shoe with equal amounts of stability and cushioning to help absorb shock. 3. 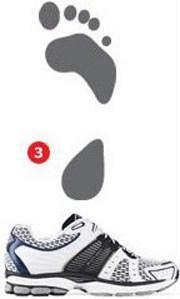 For feet with high arches: Choose a cushioned running shoe with a softer midsole and more flexibility. This will compensate for the poor shock absorption of a high-arched foot.